Its melt-in-the-mouth, creamy texture and an explosion of subtle, delicate flavours makes this starter a popular one on Indian restaurants’ menus. For a kick of spice, it is often dipped in chutney and relished. Contemporary and playful, taash kebabs are actually the good old Mughlai kebabs but from a modern kitchen. Now a popular delicacy around the globe, kebabs are often associated with Mughals who brought the dish to India. It is in the city of Lucknow, the capital of the northern state of Uttar Pradesh, that they originated. The Mughal royals who lived in the city relished them and eventually so did their populace. The finger-food is now popular across the country with some interesting takes on its old recipe evolving in modern kitchens. Shailendra Bhandari, executive chef, The Metropolitan Hotel & Spa in New Delhi, has played around with the dish, quite literally, and shared with us the recipe. Here it is for you to enjoy. Boil lamb with red chilli and salt in adequate moisture on low flame. Continue till moisture evaporates. Mince the lamb and keep aside. Separate the egg whites and whisk till fluffy. Add garam masala, garlic paste, cumin, onion and egg yolk to the lamb mince. Continue kneading evenly and add egg white at the end. Make spade shape cutlets and shallow fry in olive oil in a non-stick pan. Serve on an imitation of playing cards alongside salad and mint chutney. There are also vegetarian versions of the kebabs. The hariyali kebab (green kebab) and dahi ke kebab (curd kebab) are also a contemporary take on the age-old dish. 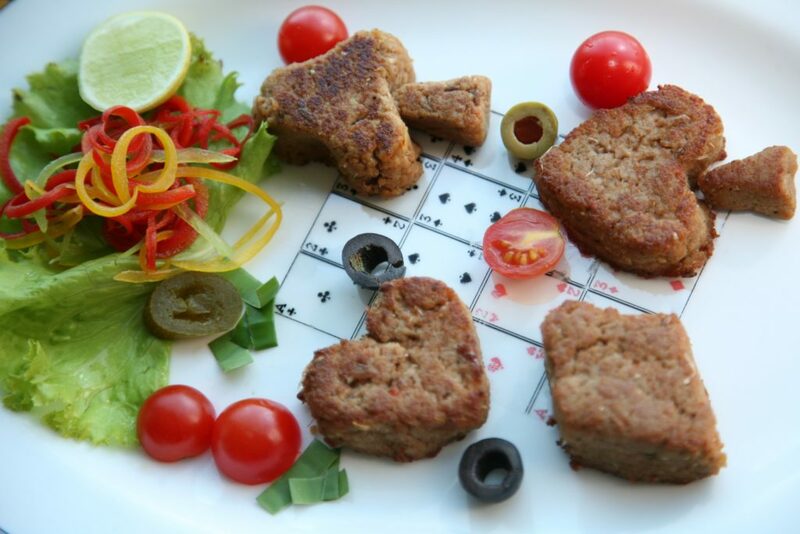 Find a recipe of the dahi ke kebab in the July-August issue of India&You magazine.